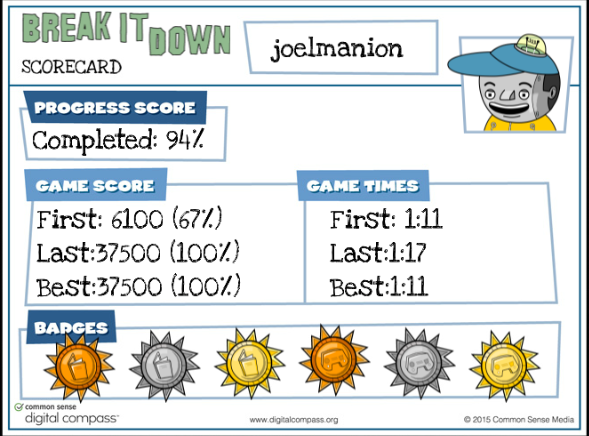 Go to the Digital Citizenship Website to access the Digital Compass simulation and complete both the stories and review game for each of the eight topics. Your grade for this unit will be based on the digital scorecards that track your progress for the stories and review game. A picture of the digital scorecards can be seen below. 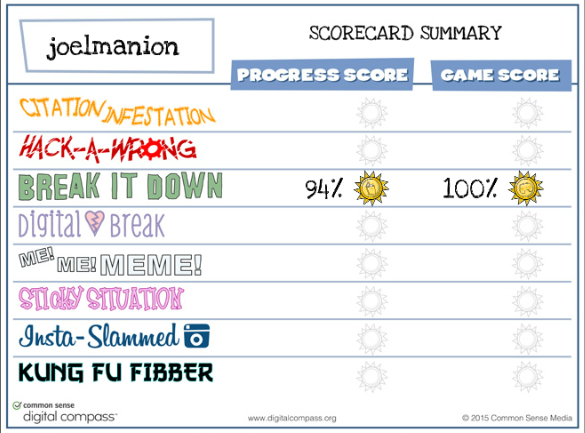 The first is the scorecard summary that shows your progress for each of the eight digital citizenship topics. The second scorecard shows the details for one of the specific topics.